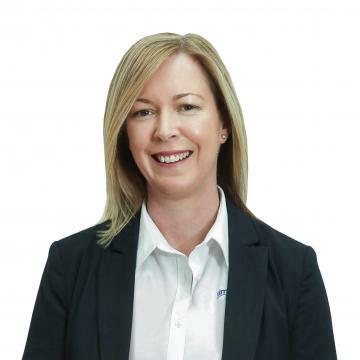 With years of experience within the property and strata management arenas, Michelle Austin provides the knowledge, passion and commitment required to successfully manage Tim Mutton Estate Agents extensive and varied property management portfolio. Michelle’s well-regarded career is diverse covering corporate and commercial leasing, residential property and large-scale strata schemes. Michelle prides herself on going the extra mile for both landlords and tenants, earning their trust and building strong and lasting relationships. A top performer in her field, Michelle’s integrity and empathy are complemented by an aptitude for detail and presentation. Landlords and tenants alike know that any advice Michelle gives is honest and carefully considered against their precise needs with her focus being the maximisation of their investment. This family home is located only a short stroll away from the ferry to the CBD and Parramatta. Features of this home also include; - 3 bedrooms. - Large kitchen with gas appliances. - Bathroom with bath tub & Separate toilet. - Sunny family room. - 3 x Split system air conditioners. - Internal laundry. - Spacious garage. - Large well manicured back yard. - Bus stop at front door. This well presented townhouse is ideally situated in a well maintained quiet complex of 4. Other features we like are; - 3 generously sized bedrooms all with mirrored built in wardrobes. - Modern Kitchen with gas cook top. - Spacious living area with wooden look laminate floors throughout. - Freshly painted throughout. - Secure lock up garage with door at rear allowing access into the back yard. - Generous size backyard with access through garage and house. Situated in one of Cronulla's most desirable settings on the Esplanade, boasting picturesque ocean views from every room, this newly renovated North - East facing ocean front apartment will be sure to lease quickly. - First floor apartment with spacious light filled interiors. - 2 bedrooms + separate study / office. - Large master bedroom with built-in wardrobes and ensuite. - Second bedroom with main bathroom. - Spacious kitchen with ample storage, bench space and incredible ocean views. Family Home In A Sought After Location. Immaculately presented, this lovingly maintained three bedroom/ plus study house boasts light filled interiors, a spacious layout and a desirable low maintenance lifestyle whilst just being moments from local transport, schools, and shops. Featuring: - Open plan kitchen/living area. - Recently renovated bathroom with bath. - Three generous bedrooms with built in wardrobes in two. - Separate internal laundry with additonal shower and toilet. - Air Conditioning. - Wooden floors throughout. This split level home boasting extensive renovations including a brand new fully equipped entertainer’s kitchen is sure to lease quickly. Features of this home we love include; - 4 light filled bedrooms. - 3 full bathrooms. 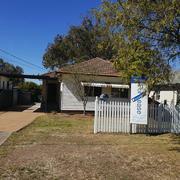 - Ensuite off main, parents retreat, bedroom & walk in robe. - Brand new kitchen with Ceaser stone benchtops. Pigeon pair fridge/freezer and wall mounted TV included. - Large open plan lounge room & separate dining room. - Air conditioned throughout. Saturated with natural light throughout & located in popular Sproule Street this renovated two bedroom unit is only minutes walk from Lakemba Train Station, local shops, cafes and schools. Other features of this quality property we love include:- - Spacious bedrooms appointed with mirrored built in robes. - Open plan lounge and dining layout with modern fittings and finishes. - Modern open plan kitchen with stone benches and electric appliances. - Internal laundry with storage. This 3 bedroom family home located in a quiet street will sure to lease quickly. Features of the property include:- - Large open plan family area off kitchen. - Spacious kitchen with ample cupboard space. - Separate lounge room - External laundry and second toilet - Off street undercover parking. - Low maintenance yard. - Ample storage through out. Short walk to schools, restaurants and cafes, public transport, parks and shops. This brand new 2 bedroom granny flat is beautifully presented within its own private seclusion. - 2 bedrooms both with built in wardrobes. - Spacious bathroom and internal laundry. - Open plan living. - Modern kitchen including dishwasher. - Split system air conditioning. - Private courtyard. - Separate entrance and driveway. NB: Landscaping shown in photo enhanced. Landscaping and driveway to be finalised. Positioned in a quiet street is this tastefully decorated spacious home perfect for the family. Offering Separate lounge and dining room Plus addition family room. Others features of this home we love include:- - Freshly painted throughout. - Polished timber floors - Reverse cycle air conditioning - Brand new blinds throughout - Updated kitchen with electric cooking appliances - Huge pergola area, great for entertaining all year round - Lockup garage - Spacious yard All located walking distance to Padstow Heights Public school, St Therese Catholic Primary School, local shops & public transport. Set among a rain forest feel backdrop this 2 bedroom privately set granny flat offers open plan living. - 2 bedrooms, main with walk in wardrobe and 2nd bedroom with double built in wardrobe - Modern bathroom - Gas cooking - Internal laundry - Open plan living - Modern kitchen with gas cooktop - Reverse cycle air conditioning - Generous backyard - Separate entrance NB Majority of lawn and garden maintenance is taken care of by the owner. We wish to thank Michelle Austin and the team at Tim Mutton Estate Agents for being caring, thorough and diligent during the process of renting out our properties at Panania and of course managing them afterwards. Michelle would go an extra mile every time to ensure that everything has been done properly and in the best possible way. Thank you Michelle and the team and we wish you success in all fronts. Tim Mutton Estate Agents have been managing my property for a number of years and I can not compliment enough their professionalism and efficient approach to any rental issue I have encountered during this time. Thanks to Tim and Michelle for taking care of my property and always making that extra step and effort to assist me as the client. Tim Mutton Estate Agents have excellent communications skills and incredible property market knowledge. Tim helped my friends to sell their house within limited time frame and the outcome exceeded their expectations. Thank you for being patient with me and I also much appreciate your assistance in addressing all the issues and concerns so promptly. I wouldn’t hesitate to continue recommending you as agents to any of my family or friends.